In 2014, the OIL began chronicling its oral history, beginning with the reasons each manager joined the Army National Guard in the first place and leading up to the year they spent in Iraq together (where the OIL was born). The history project is now current. 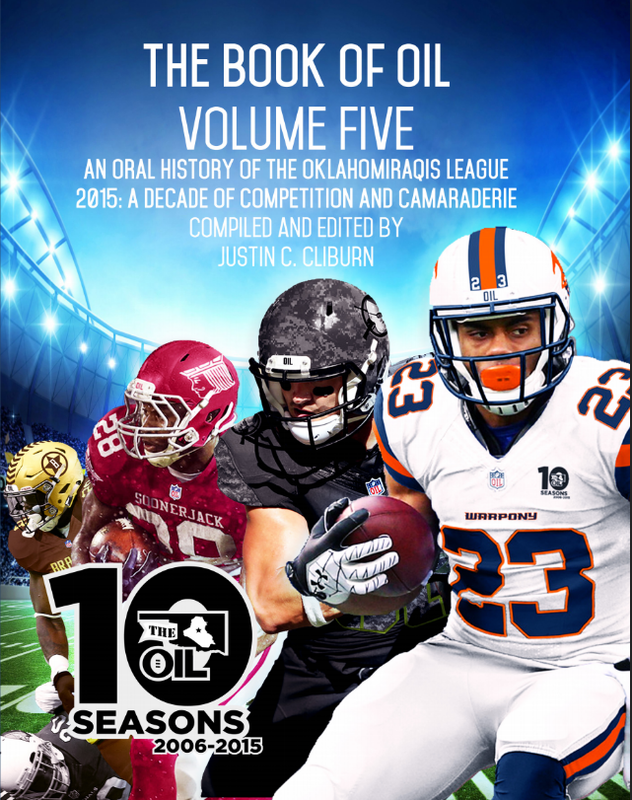 The next edition will cover the 2015 10-year reunion and OIL season. And here is an oral history of the Arrogant Americans and Hangovers rivalry. This is the longest chapter. It begins with the origins of the 1st Battalion 158th Field Artillery regiment. It moves on to discuss the reasons each manager joined the military, where they were on 9/11, and what they thought when the 2006 SECFOR mission sent them to Iraq. It is a comprehensive history of the year they spent in Baghdad. StoryCorps founder Dave Isay mentioned it on NPR and said it was, by far, the most complete representation of life during the Iraq War he'd ever read. 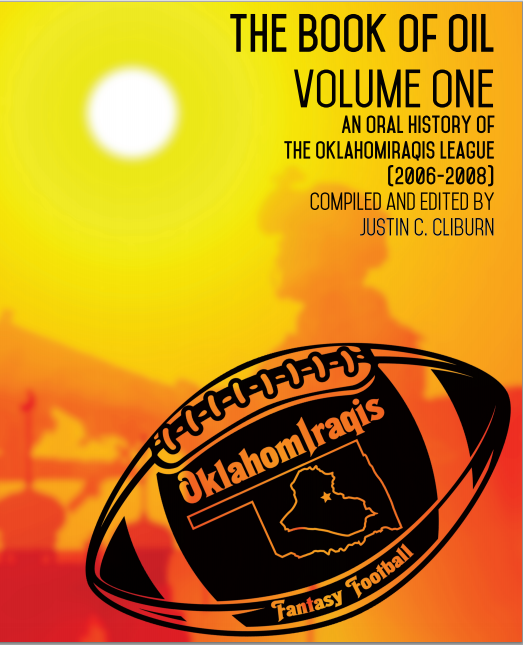 Of course, it also covers the inaugural season of the OIL. 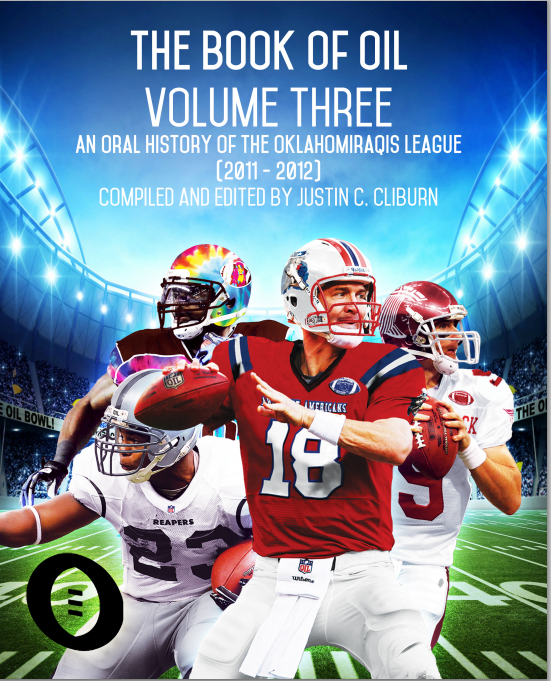 The second season of the OIL began in 2007 when Kevin Pyle asked the commissioner if we were going to resurrect the league. We did, but some managers chose not to come back. This is the story of that second season, as the men tried to transition back into civilian life. Before the third season of the OIL, the 158 was told they were going back to Iraq. There was talk of skipping a season, but the men refused. This chapter discusses that third season as some of the managers risked their lives in Iraq once again. The 2009 season took place after the 158 had returned from Iraq and SECFOR soldier and future OIL member Adam Schuster recuperated at Walter Reed after being shot by a sniper in Ramadi. It was also the first season for rules changes that have since become permanent. And Cliburn spent the offseason developing the league website and team logos for each manager. The 2010 season saw the advent of the OIL website and the Harrington Trophy, and it was the first season of the Dead Ball Foul Association. Finally, the season ended in an OIL Bowl featuring old rivals. 2011 was the first season featuring Rivalry Week in week 13. It ended with one lucky franchise becoming the first two-time champion. 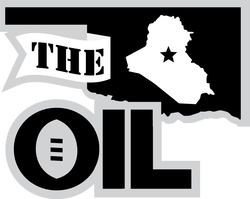 That season was dominated by five teams, and it was clear all season one of them would win the OIL Bowl. 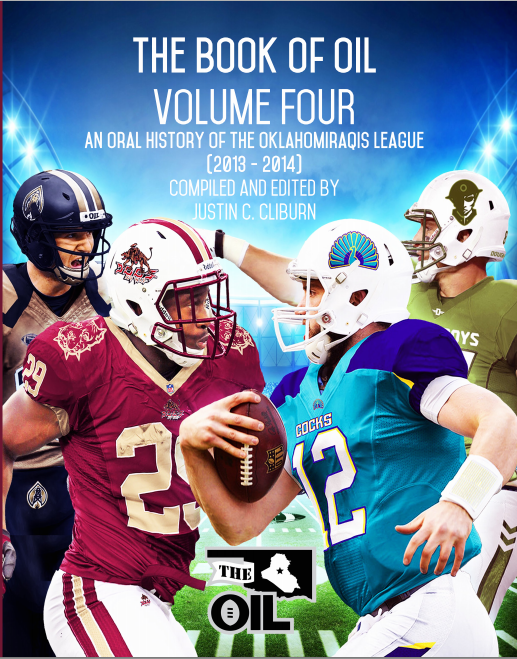 It was the first season the OIL won the DBFA's World War. The 2012 season began with vindication for one manager while one unlucky franchise became the first to lose two OIL Bowls. That manager lost the championship game for the second-straight season while the champion won its second OIL Bowl in three years. But the season was defined by 13 managers' decision to pass on Adrian Peterson on draft day. The 2013 season started with a deadly tornado affecting a longtime OIL manager and the combat death of a former 158 soldier while it ended with the untimely death of a SECFOR brother. Sandwiched between those tragedies, one OILer got sweet revenge and won his first OIL Bowl. After the shock of the 2013 death, the OIL expanded in order to keep in touch with 14 more SECFOR brothers. Then, during the season, another SECFOR brother passed away. Trophies were named in their honor and the season went on. The OIL voted to award custom jerseys for the conference champions and a custom mini-helmet for the overall OIL champions. They then made it retroactive. Meanwhile, the 158 was in Afghanistan, where two OIL managers competed from a new AO. A new champion was crowned when a longtime OIL manager finally broke through and beat another first-time OIL Bowl participant. 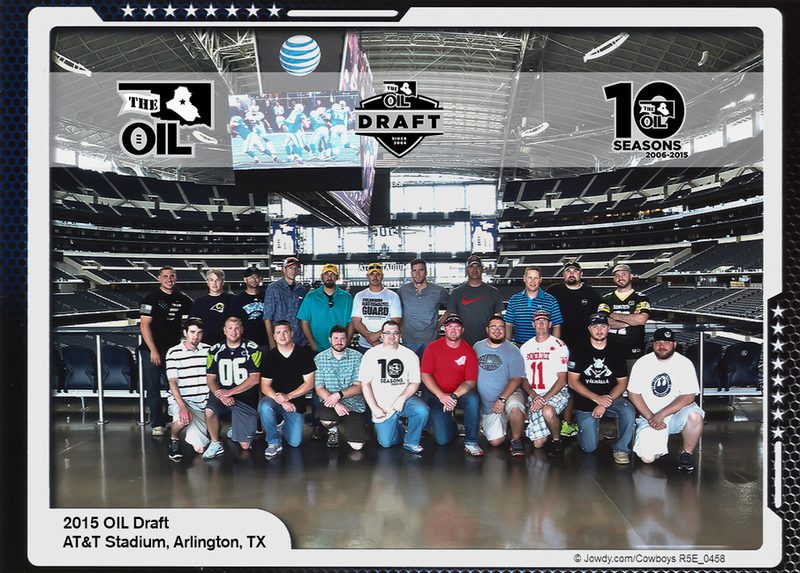 Ten years after first reporting for the SECFOR mission, the men of the OIL welcomed 14 more brothers into the fold, held a reunion, were the subject of national news stories, drafted at AT&T Stadium in Arlington, Texas, and saw several milestones set. The 2016 season began with a new draft day tradition. A national fantasy football podcast featured the OIL soon thereafter, and the Dogs of War made their national TV debut. In the end, one OILer made history by going from worst to first.